We studied the effects of cryogenic cooling of a 2-[3-(4-hydroxystyryl)-5, 5-dimethylcyclohex-2-enylidene] malononitrile (OH1) crystal on the generation of broadband THz pulses via collinear optical rectification of 1350 nm femtosecond laser pulses. Cooling of the OH1 crystal from room temperature to 10 K leads to a ~10% increase of the pump-to-THz energy conversion efficiency and a shift of the THz pulse spectra to a higher frequency range. Both effects are due to the temperature variation of the THz absorption and the refractive index of the OH1 crystal. This conclusion has been verified by temperature dependent measurements of the linear absorption in the THz frequency region. An approach to obtain a stronger increase of the THz generation efficiency at cryogenic cooling of the OH1 crystal is discussed. N. Stojanovic and M. Drescher, “Accelerator- and laser-based sources of high-field terahertz pulses,” J. Phys. At. Mol. Opt. Phys. 46(19), 192001 (2013). H. Hirori and K. Tanaka, “Nonlinear optical phenomena induced by intense single-cycle terahertz pulses,” IEEE J. Sel. Top. Quantum Electron. 19(1), 8401110 (2013). A. Pashkin, F. Junginger, B. Mayer, C. Schmidt, O. Schubert, D. Brida, R. Huber, and A. Leitenstorfer, “Quantum physics with ultrabroadband and intense terahertz pulses,” IEEE J. Sel. Top. Quantum Electron. 19(1), 8401608 (2013). C. Vicario, C. Ruchert, F. Ardana-Lamas, P. M. Derlet, B. Tudu, J. Luning, and C. P. Hauri, “Off-resonant magnetization dynamics phase-locked to an intense phase-stable terahertz transient,” Nat. Photonics 7(9), 720–723 (2013). U. Frühling, M. Wieland, M. Gensch, T. Gebert, B. Schütte, M. Krikunova, R. Kalms, F. Budzyn, O. Grimm, J. Rossbach, E. Plönjes, and M. Drescher, “Single-shot terahertz-field-driven X-ray streak camera,” Nat. Photonics 3(9), 523–528 (2009). B. Schütte, U. Frühling, M. Wieland, A. Azima, and M. Drescher, “Electron wave packet sampling with laser-generated extreme ultraviolet and terahertz fields,” Opt. Express 19(20), 18833–18841 (2011). P. N. Juranić, A. Stepanov, P. Peier, C. P. Hauri, R. Ischebeck, V. Schlott, M. Radović, C. Ernya, F. Ardana-Lamasa, B. Monoszlai, I. Gorgisyana, L. Patthey, and R. Abela, “A scheme for a shot-to-shot, femtosecond-resolved pulse length and arrival time measurement of free electron laser x-ray pulses that overcomes the time jitter problem between the FEL and the laser,” J. Instrum 9, P03006 (2014). A. I. Grguraš, A. R. Maier, C. Behrens, T. Mazza, T. J. Kelly, P. Radcliffe, S. Düsterer, K. Kazansky, N. M. Kabachnik, Th. Tschentscher, J. T. Costello, M. Meyer, M. C. Hoffmann, H. Schlarb, and A. L. Cavalieri, “Ultrafast X-ray pulse characterization at free-electron lasers,” Nat. 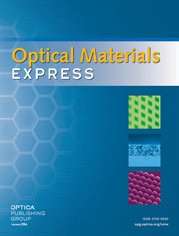 Photonics 6(12), 852–857 (2012). M. Schirmer, M. Fujio, M. Minami, J. Miura, T. Araki, and T. Yasui, “Biomedical applications of a real-time terahertz color scanner,” Biomed. Opt. Express 1(2), 354–366 (2010). J. A. Fülöp, L. Pálfalvi, S. Klingebiel, G. Almási, F. Krausz, S. Karsch, and J. Hebling, “Generation of sub-mJ terahertz pulses by optical rectification,” Opt. Lett. 37(4), 557–559 (2012). J. Hebling, G. Almási, I. Kozma, and J. Kuhl, “Velocity matching by pulse front tilting for large area THz-pulse generation,” Opt. Express 10(21), 1161–1166 (2002). A. G. Stepanov, J. Hebling, and J. Kuhl, “Efficient generation of subpicosecond terahertz radiation by phase-matched optical rectification using ultrashort laser pulses with tilted pulse fronts,” Appl. Phys. Lett. 83(15), 3000–3002 (2003). A. Gopal, S. Herzer, A. Schmidt, P. Singh, A. Reinhard, W. Ziegler, D. Brömmel, A. Karmakar, P. Gibbon, U. Dillner, T. May, H.-G. Meyer, and G. G. Paulus, “Observation of gigawatt-class THz pulses from a compact laser-driven particle accelerator,” Phys. Rev. Lett. 111(7), 074802 (2013). S.-W. Huang, E. Granados, W. R. Huang, K.-H. Hong, L. E. Zapata, and F. X. Kärtner, “High conversion efficiency, high energy terahertz pulses by optical rectification in cryogenically cooled lithium niobate,” Opt. Lett. 38(5), 796–798 (2013). C. Vicario, B. Monoszlai, C. Lombosi, A. Mareczko, A. Courjaud, J. A. Fülöp, and C. P. Hauri, “Pump pulse width and temperature effects in lithium niobate for efficient THz generation,” Opt. Lett. 38(24), 5373–5376 (2013). C. P. Hauri, C. Ruchert, C. Vicario, and F. Ardana, “Strong-field single-cycle THz pulses generated in an organic crystal,” Appl. Phys. Lett. 99(16), 161116 (2011). C. Ruchert, C. Vicario, and C. P. Hauri, “Scaling submillimeter single-cycle transients toward megavolts per centimeter field strength via optical rectification in the organic crystal OH1,” Opt. Lett. 37(5), 899–901 (2012). C. Ruchert, C. Vicario, and C. P. Hauri, “Spatiotemporal focusing dynamics of intense supercontinuum THz pulses,” Phys. Rev. Lett. 110(12), 123902 (2013). C. Vicario, C. Ruchert, and C. P. Hauri, “High field broadband THz generation in organic materials,” J. Mod. Opt., doi:. A. G. Stepanov, L. Bonacina, and J.-P. Wolf, “DAST/SiO2 multilayer structure for efficient generation of 6 THz quasi-single-cycle electromagnetic pulses,” Opt. Lett. 37(13), 2439–2441 (2012). M. Walther, K. Jensby, S. R. Keiding, H. Takahashi, and H. Ito, “Far-infrared properties of DAST,” Opt. Lett. 25(12), 911–913 (2000). Y. Takemoto, K. Takeya, I. Kawayama, H. Murakami, and M. Tonouchi, “Temperature dependence of terahertz wave generation from DAST crystal illuminated by 1.56 μm fiber laser,” Terahertz Sci. Technol. 4(2), 42–45 (2011). P. D. Cunningham, N. N. Valdes, F. A. Vallejo, L. M. Hayden, B. Polishak, X.-H. Zhou, J. Luo, A. K.-Y. Jen, J. C. Williams, and R. J. Twieg, “Broadband terahertz characterization of the refractive index and absorption of some important polymeric and organic electro-optic materials,” J. Appl. Phys. 109(4), 043505 (2011). A. Trisorio, P. M. Paul, F. Ple, C. Ruchert, C. Vicario, and C. P. Hauri, “Ultrabroadband TW-class Ti:sapphire laser system with adjustable central wavelength, bandwidth and multi-color operation,” Opt. Express 19(21), 20128–20140 (2011). A. B. Kuzmenko, “Kramers–Kronig constrained variational analysis of optical spectra,” Rev. Sci. Instrum. 76(8), 083108 (2005). F. D. Brunner, O. P. Kwon, S. J. Kwon, M. Jazbinsek, A. Schneider, and P. Günter, “A hydrogen-bonded organic nonlinear optical crystal for high-efficiency terahertz generation and detection,” Opt. Express 16(21), 16496–16508 (2008). A. G. Stepanov, A. A. Melnikov, V. O. Kompanets, and S. V. Chekalin, “Spectral modification of femtosecond laser pulses in the process of highly efficient generation of terahertz radiation via optical rectification,” JETP Lett. 85(5), 227–230 (2007). Fig. 2 THz transmission spectra of an OH1 crystal with optical axis oriented parallel to the THz wave polarization. Fig. 3 Interferograms [Figs. 3(a) and 3(c)] and corresponding FFT power spectra [Figs. 3(b) and 3(d)] of THz pulses generated in an OH1 crystal at room temperature and 10 K via optical rectification of 1350 nm femtosecond with moderated pulse energies (0.14 and 0.15 mJ). Fig. 4 Linear absorption THz spectra of the OH1 crystal used in this study [Fig. 4(a)]. Spectra of THz pulses generated in this crystal by optical rectification of 1350 nm laser pulses with different pulse energies at room temperature and at 10 K [Figs. 4(b)-4(d)]. Table 1 Fit parameters of the OH1 crystal transmission spectra [Fig. 2] to a Drude-Lorentz model. Fit parameters of the OH1 crystal transmission spectra [Fig. 2] to a Drude-Lorentz model.